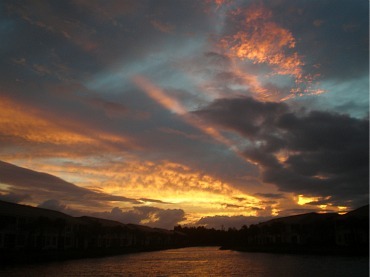 Cape Coral FL - Contact me to find out more about our boating and fishing paradise. I would love to hear from you! I like talking to people about great places to eat and shop, fun things to do and see, or anything to do with the City of Cape Coral Florida. If you have any questions, comments, ideas, or suggestions about Cape Coral Florida, put them in the form below and I will respond as promptly as I can. Your contact information is private, I will never give it out. For questions about real estate and requests for house showings, please contact my realtor, George Patton, I am not a realtor. So, either drop me a line, or if you prefer, you can sign up for my RSS Feed to get blog updates to you more directly without giving out your email. To do that, right click on the orange RSS button in the box above the Navbar, upper left. Need an explanation about RSS? Click on the [?] just above the orange RSS button. If you're not interested in the feed, then check back regularly to see my posts on my Cape Coral Blog. You can also subscribe to my monthly newsletter to get the latest news and reviews on restaurants, festivals, happenings, and other Cape Coral information you need for vacationing or relocating to our family-friendly city of canals. You can go to my Gator Bites page to subscribe, or subscribe in the box in the upper part of the right column on most pages on my website. By signing up for the newsletter, you will be the first to know what we are up to! I hope you enjoy my website, and all the photographs and videos. And then I hope you Come to Cape Coral!